We will be covering the New York event and getting a look first hand at what the new Samsung Galaxy Note 7 will have to offer. Samsung has even written its own press release regarding the Note 7 and why the company decided to skip the Note 6 altogether. The Galaxy Note 7 is still not announced yet, but Samsung is excited to show us what it’s been working on. We still don’t know the final specs that the phablet will carry. Rumors have suggested it will have a 5.8 inch dual-edged display like the Galaxy S7 edge, however, the Note 7 would not be available in a flat-screened variant. There is also talks of possible IP68 certification, 64GB of expandable storage, 6GB of RAM, 12MP rear camera and 5MP front camera, and it’s said to come with either a 4,000mAh battery or a 3,600mAh battery. It’s still not known if the company decided to go with Snapdragon CPUs for the North American models with Exynos chips for the rest of the world. 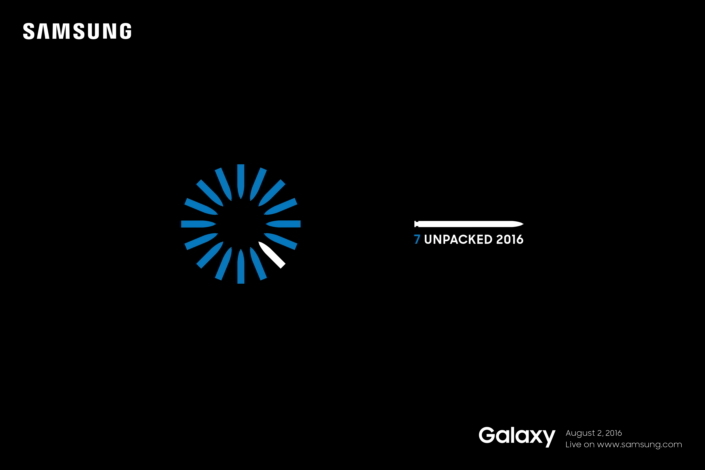 I guess we’ll have to wait until the Samsung Galaxy Note 7 Unpacked event!